Did you know that it costs typically seven times more to acquire a new customer than it does to keep an existing one? While there’s nothing wrong with working hard to grow your customer base, it’s important to remember the value behind customer retention and brand loyalty. In a nutshell, sell more to your existing customers. The most common tactics used here are the basics of cross-selling and upselling. Both of these are good approaches. However, there is a tendency for companies to overuse them. This can result in a negative impact on customer relationships. There are a wide a variety of other strategies that can be used, many ways to implement them, and little need to just focus on cross and up-sell. For instance, a company can also deliver customer value through down-selling and usage stimulation. Consider a Bank that, instead of sending more product cross sales offers, sends credit cards to customers and offers an increase in their credit limit. They know that, on average, when a customer’s credit limit goes up they will use at least some of that extra limit. This then is usage stimulation: same product, more sales. 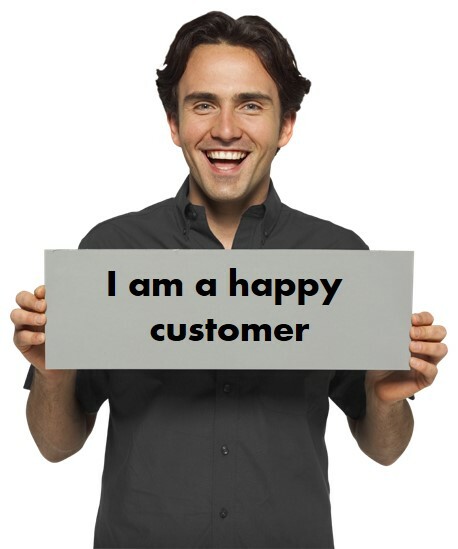 The second way to increase customer lifetime value (LTV) is by retaining customers for longer. It is true that it costs 7 times less to retain a customer than to acquire a new one so it is well worthwhile to spend some extra effort to retain the right customers. Customers tend to “leave” because of another product or service that has a feature which they believe you do not have, even if you do. If you have a “moderately complex” product or service, it can be well worthwhile educating customers about it. Whether you know it or not, you’ve probably been through a customer retention process. If you have ever asked to cancel your mobile phone contract, then it is almost certain that you have been put through to another department to process the cancellation. That department is normally a specialised Save team. Save teams are trained to keep customers and often have access to better offers and incentives to help the process along. This pertains to the use of the now ubiquitous “loyalty program”. Of course, you can spend a lot of money and never change the loyalty of your customers. So you need to be certain that your loyalty program is delivering a net customer value improvement. Customers often leave because of the experience they receive as customers. Continuously improving your customer experience is a key driver of long-term customer loyalty, and starts with putting in place a system to continuously gather customer feedback. Ensure that you are not continuing to market to customers who cannot or will not buy more of your products and services. This, if done well, can add substantial value to your business. However, you should take precautions because it can back fire badly. Back when ATMs first came out in Australia, all the banks rushed to install them and move as much foot traffic to the “lower cost to serve” ATM channel. This worked perfectly to lower cost. However, the banks soon discovered that they had also lost a large volume of their cross -sell opportunities. This is simply because when customers come in to the branch to perform a transaction, they are more likely to set aside time to perform the transaction and so can spend a few minutes discussing other products and options with staff. This is in contrast to outbound contact methods: phone calls and direct mail, which are “interruptions” in the day of customers – something to be disposed of as soon as possible. When you increase your company’s customer lifetime value, you’re increasing customer loyalty, general profitability and free marketing in one fell swoop. While you definitely should not stop pursuing potential customers altogether as eventually through natural attrition your existing ones will cease to be, remember to focus on building up the customers who already like you. Apply these tips to your business strategy to boost your Customer Lifetime Value and feel the positive effects ripple throughout your company. This entry was posted in Digital Signage, Education, Marketing and Advertising, Tips and advice, Uncategorized and tagged #avtweeps, #digitalsignage, #proav, AV technologies, digitalsignage.NET by hsmith. Bookmark the permalink.